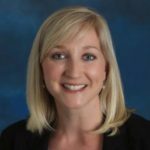 Tiffany Foxworth, Director of Operations for the Office of Communications at the University of South Carolina, is a certified Project Management Professional whose deep experience spans technology and construction. She joined the Office of Communications 12 months ago and has discovered what she calls “one of the gratifying things about working with creatives” – that creatives often approach the work they do from a place of passion, not just a job. She’s also discovering how to help her creative team maintain that excitement and streamline the administrative process with clients by leveraging collaboration and project management with inMotion. Here’s how she’s making it happen. One of the most common collaboration challenges that I’ve seen in almost all industries where I’ve been a project manager is not uncommon in the creative workflow. It happens right at the beginning, during project intake. Avoiding assumptions and ensuring that what the client communicates they want aligns with what they need is vital. Making assumptions in the early stages of a creative project can cause unintended issues – you’ll get close to finishing the project and discover that the end product isn’t what the client expected. When we’ve spent time conducting “lessons learned” evaluations, we discover that misinterpretation can often be the cause for less than ideal results. Like any industry, the creative field has its own lingo and requirements and it’s up to our team to ask the right questions, set appropriate expectations, involve the appropriate stakeholders and ensure that all parties are in sync at intake. Additionally, it’s important to make sure there’s an established communication flow beyond initial intake. This communication flow often differs for every project and even client. Part of what you must learn is how each client operates and what the best communication plan is for them. For some clients, having regular check-ins is really important – if you’re getting off base, you find out early so you’re not impacting the client or the timeline. We have a wide range of clients whose needs we have to understand so that they can feel confident in our work. Our institutional knowledge and client relationships are vital to effectively achieve our mission – I consider it to be part of our job to foster these relationships. Trust and confidence are what makes those relationships work well. There must be trust between the client and the creative team and that trust is built over time. Building trust requires effort. From a creative standpoint, we achieve this by asking questions during the intake phase, setting timeline expectations early in the project, and proactively engaging the client if things are getting behind or off track. It’s critical for us to communicate early and often. It’s also incumbent on the client to understand that with quality work comes quality time to complete the work. Our creative team can turn around work in very short time frames when clients have an urgent need—but if all our clients’ needs are always urgent it makes it difficult to plan our workload so that we can deliver top quality work to everyone. To have a successful prioritization system, it’s important that you define what terms like “high priority” or “low priority” mean, and ensure that there’s oversight in the assignment of these priority levels. Once you have agreement on the priority of a project, you need to ensure that all stakeholders are kept informed of the progress of the project. I don’t want our creatives to have to get wrapped up in day to day project management because that hinders their creativity, so I like that inMotion has provided visibility into project progress for our stakeholders. We can now run a report for them – what’s in process and what stage it’s in – instead of relying on memory for that centralized, core repository of information. inMotion has streamlined the administrative side of keeping clients informed. With the custom fields available to us, we were able to add our academic and administrative units to the tool and can easily run reports for our clients and for ourselves. The review and approval process requires a lot of collaboration but can easily become unproductive collaboration, especially if you have too many reviewers and no one who has final authority. For example, our team might be working directly with staff in an academic unit on a project but it’s the dean of that unit who will ultimately have approval authority. So, while we may collect feedback from all stakeholders, knowing whose final approval we need to obtain helps us prioritize that feedback and eliminate unnecessary rounds of revision. With inMotion, you have the ability to create approval chains to automatically route your proofs to reviewers. An unexpected benefit of this is that it helps us think ahead of time about who to include in the review – establishing a chain of command and final authority ahead of time is crucial to shortening our approval cycles. The review process also requires daily diplomacy as you find the balance between what clients want and what’s best for the work. This will require you to be understanding of clients but also to be persuasive and provide them with guidance on why your team made the design decision that they did. This is where the trust that I talked about earlier comes into play. And while inMotion should be the tool to manage your approval process, I am a firm believer in the power of a telephone call or in-person meeting to overcome barriers or challenges. At the end of the day, strong communication and a sense of understanding will pay dividends in maintaining productive collaboration with clients. Want more collaboration best practices to help your team see results like ReminderMedia? Check out our eBook, The Power of Productive Collaboration. Tiffany Foxworth is the Director of Operations at the University of South Carolina’s Office of Communications and Public Affairs. Tiffany arrived at the University of South Carolina in the Spring of 2016. After having lived and worked across the state from the foothills to the coast, she and her husband settled in Columbia in 2011. With over a decade of project management experience in a multitude of industries, she comes to the University of South Carolina with an emphasis on managing strategic level initiatives from inception to implementation. Her specific focus area includes integrating processes, workflows and technology tools to help teams gain efficiencies and improve results. Although a native to South Carolina, Tiffany received her B.B.A. in Marketing from the Terry College of Business at the University of Georgia. She has since furthered her project management skills and expertise in 2013 with the completion of her Project Management Professional (PMP) certification and continues to develop her skills through networking, workshops, and self-study. Outside of the office, she is an avid runner and loves spending time with her family. She and her husband, a lifelong fan and USC graduate, welcomed their first child, a son, in 2015 and most weekends are filled with outdoor activities to keep the whole family busy.